"Michelle I am so sorry for your loss. 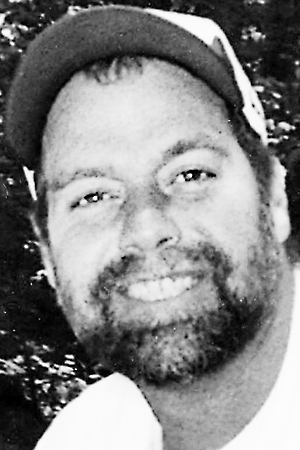 Bruce was one of the..."
OHIO - Bruce Hodgkin II, of Gorham, passed away at the age of 42 on Sept. 4, 2018, in a motorcycle accident, his new found passion. He had this great charismatic charm that made him a great father, husband, brother, son and mentor. He grew up in Auburn, Maine, and attended Edward Little High School, where he found his first love for basketball, cooking, and the wife of his three amazing children. Shortly after starting a culinary arts program he found employment with Thatchers in the Auburn Mall, where he devoted a lifetime of hard work ethics for himself and his soon-to-be business partner. In 1993, Bruce walked into Michelle's home economic classes, and since then a lifetime of memories has been made. In 1997, they bought their first home in South Paris. They married at their home in 1998 and brought three beautiful children into this world together: Maisea, 20; Bruce, 13; and Behar, 10. In the late 90s his first stepping stone into co-owning a restaurant was a little pizza place on Congress Street in Portland called Kinickys. From then until 2015 he worked for, with, and side by side his business partner and mentor, Cindy. In 2007 as their family grew they moved into their second home in Norway where they asked his mother, Rose and domestic partner, Steve, to move in closer to them. Bruce worked a lot and wanted to be able to keep his mom close and have someone to help his wife with his children. In 2009, he opened his first official baby, Thatchers, in Gorham with his business partner. Two years later they moved to Gorham and both started putting a lot of time and energy into the business. In 2015, after the closing of his business, he found a new passion for motorcycles. The open road helped clear his mind. It made him feel carefree. He found brotherhood in a motorcycle club and enjoyed spending time with them. It brought him to places he had never been and met a lot of people that cared for him like a second family. He was silly and wild-hearted his whole life. Always willing to help anyone in need, especially his children, which is why he worked so hard his whole life. He put 110% into everything he did which is what made him such a strong, smart and amazing man that will be missed dearly. Family and friends are invited to attend a time of visitation on Monday, Sept. 17, 2018 from 2-4 p.m., at the Windham Chapel of Dolby, Blais & Segee, 434 River Road. Please visit www.dolbyblaissegee.com to view Bruce's tribute page and to sign his online guestbook. In lieu of flowers, his family asks that donations be made to the Bruce Hodgkin II gofundme page to help with funeral services, cremation, memorials and his final resting place.